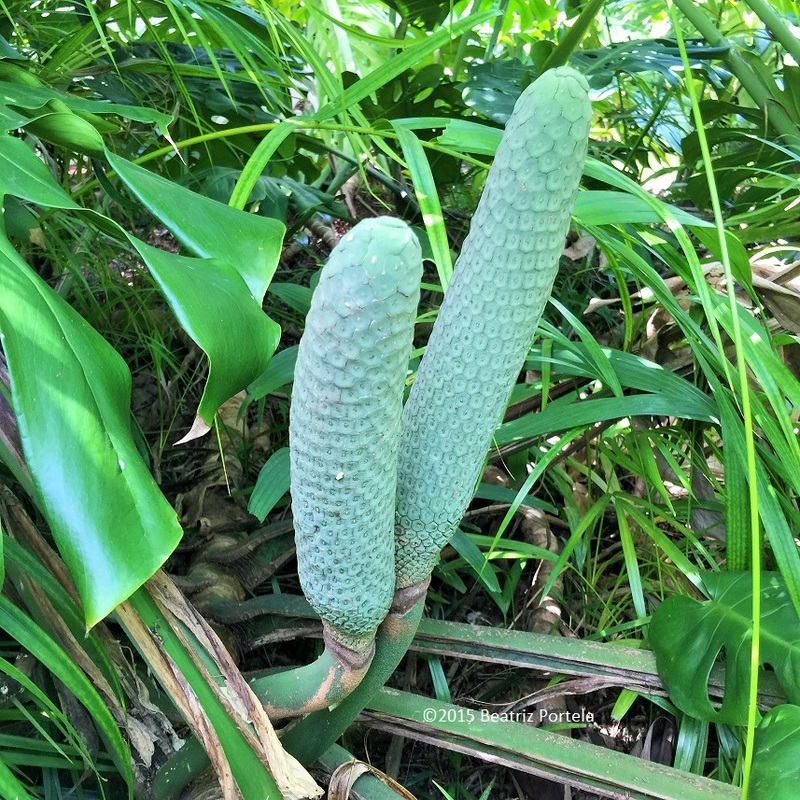 The Monstera Deliciosa (Ceriman) is a little-known fruiting plant and one of only a few that grow well in the shade. Many people grow this as an ornamental plant, not knowing that the fruit can be eaten. 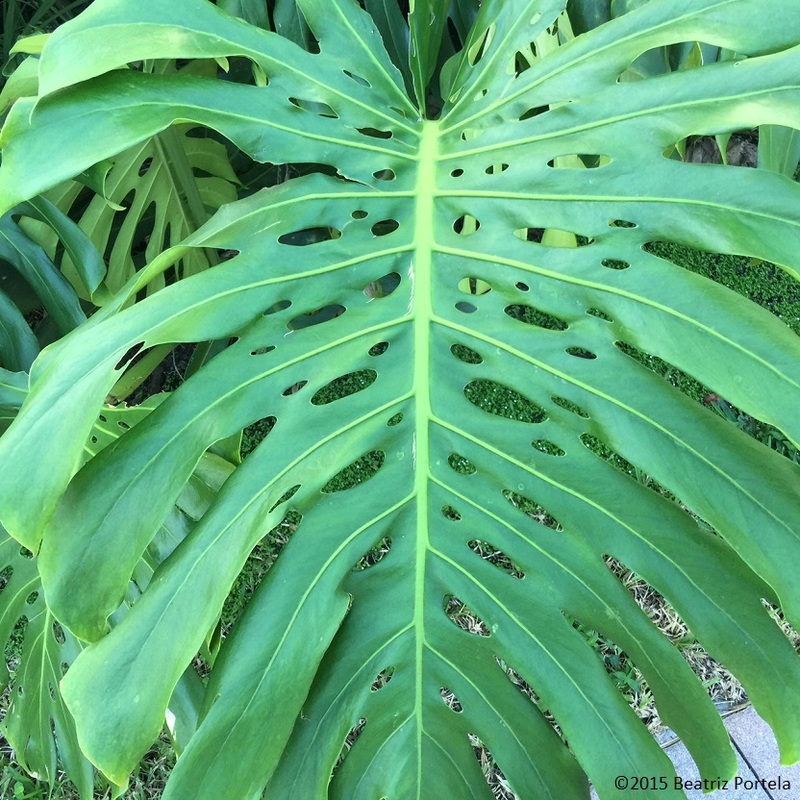 Monstera is closely related to Philodendron and is native to southern Mexico, south to Panama. It has been introduced to many tropical areas, including south Florida. I have several of them planted under palm trees, in my front yard. The fruit in the picture is not quite ripe yet. You know it’s ripe when the scales start to lift up. At this point you should cut the fruit off the plant and bring it in to further ripen. Ceriman is an unusual fruit in that it doesn’t mature all at once. It will begin to ripen, with the scales lifting up, at the base first. Brush off the raised scales only and then scrape off the edible flesh that was underneath, away from the core. The moist flesh has a similar texture to pineapple and tastes like a combination of pineapple and banana. The plant contains oxalic acid so be sure to only eat the sections that are completely ripe; if you eat any sections that aren’t ripe enough they will irritate your mouth & throat. This is a fruit you don’t eat in its entirety in one sitting. It takes approximately 5 to 10 days for it to ripen all the way to the tip.